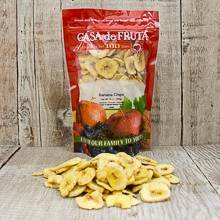 Whether you buy them to use as a salad topping or for snacking right out of the bag, you will truly enjoy eating these crunchy banana chips! Packaged in a 10 oz. bag.